Great stuff!!! A little too much coconut for me. But overall great!! Let me start off by saying this is amazing. I loved this stuff from the day I made it, had trouble wanting to let it sit for your steep time. If this is your first tobacco I would say holy grail is a good choice for several reasons. First, it’s not really a tobacco, but an amazing caramel and vanilla. If you wanted to add a hint of tobacco I would suggest .25% of either red burley or cured from FLV. That’s not to put this down at all as holy grail has a slight slight hint, but it gets too covered up. The coconut pairing is one of my favorite as well and it shines here with the other flavors. It has a great flavor and lends a hint of creaminess to the mix which is amazing. I would have to agree with @AlfredPudding in that the graham cracker seems to fall under in the steep. I can taste the spice a little bit, but would prefer a hint more. For my personal taste I think I’ll bump it to 3%. I suggest many people who like this profile to mix this up. 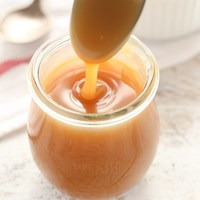 This is an awesome, rich coconut caramel recipe. I wouldn't say it's much of a tobacco recipe, but that doesn't take away from how delicious it is. Starting out with 8% HHGRY4 is never a wrong move, and the idea of blending some coconut into it was absolutely brilliant. I enjoy the combination of FA Coconut and FLV Sweet Coconut in this immensely. My only critique is that the FW Graham Cracker is getting covered up quite a bit in this mix.